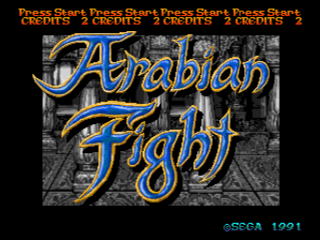 Arabian Fight uses more sprite scaling effects than any other brawler. Your characters shrink or grow greatly depending on how close they are to the foreground. 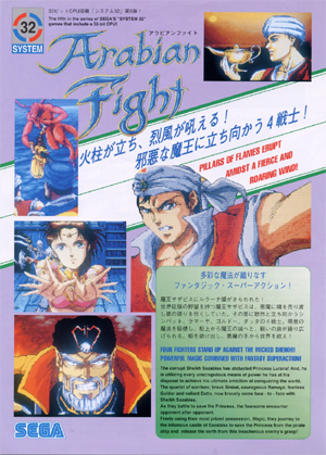 Arabian Fight was released around the same time as Arabian Magic, perhaps as competition. 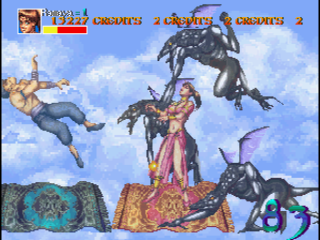 Both are based off of the Arabian Nights mythology, although Arabian Magic is way better. I hate Arabian Fight. 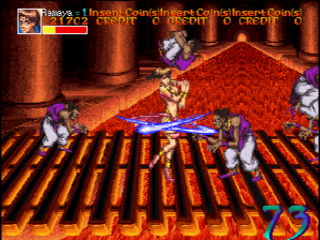 Its core combat is awful because enemies don't exactly get stunned when you attack them, so it seems like you always take damage unless you fight tediously. 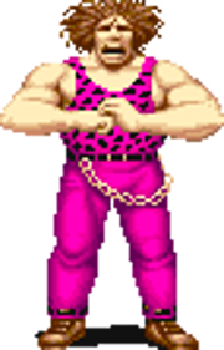 The sprite scaling gimmick is innovative but makes the graphics look pixelated and sloppy. 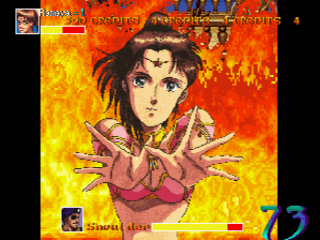 At least it has animated magic attacks, but besides that it's painful to play.